MIAMI — In the wake of President Obama’s move to rekindle diplomatic ties with Cuba, Cuban-American legislators in Washington and local officials in Florida are calling for reconsideration of a once-sacrosanct element of American foreign policy — the 1966 law that gives Cubans broader protections than any other immigrants arriving in the United States. Critics of the law, joined by the hard-line Cuban-American congressional delegation, say it is being abused by recent waves of Cuban arrivals who regularly travel back and forth between Cuba and the United States as economic, not political, refugees. Written during the height of tensions with the Soviet Union, the Cuban Adjustment Act was meant to offer safe haven for Cuban refugees fleeing oppression from their Communist government. The law allows all Cubans who reach the United States, legally or illegally, to become permanent residents in a year and a day. Five years later, they can become United States citizens. The law is still popular with most Cubans in Florida. But influential Cuban-American politicians argue that the moves to normalize relations undercut the rationale for the law — that it protected refugees from an outlaw government at a time they did not have the option of returning home. Critics also say the law is being abused by criminals who take advantage of it to ferry money between Cuba and the United States, and then flee to Cuba rather than risk arrest. 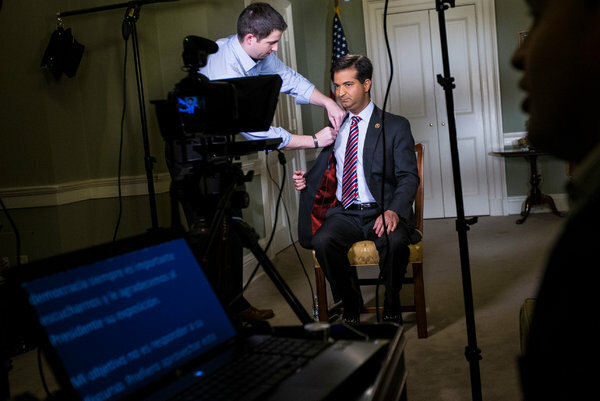 Representative Carlos Curbelo, a newly elected Republican Cuban-American from Florida, said he would draft legislation to make it more difficult for Cubans who come seeking jobs, and not protection from the Castro government, to avail themselves of the law. His reservations are shared by other Cuban-Americans in Congress, including Senator Marco Rubio, Republican of Florida, and Senator Robert Menendez, Democrat of New Jersey. But, reflecting the delicacy of the issue among Cubans, the others have not detailed any corrective action. Their concerns are also shared by the Miami-Dade County Commission in Florida, which recently voted unanimously to ask Congress to revise the law. The commissioners’ position reflects a divide between many recent and older immigrants from Cuba. Many earlier immigrants say the law should only protect Cubans fleeing political oppression. Newer immigrants, who benefit most from the law, are more likely to support its blanket application to all Cuban immigrants. But the Cubans who have been here longest have the most political clout. For now, the law stands, and Obama administration officials say they do not intend to weaken it. 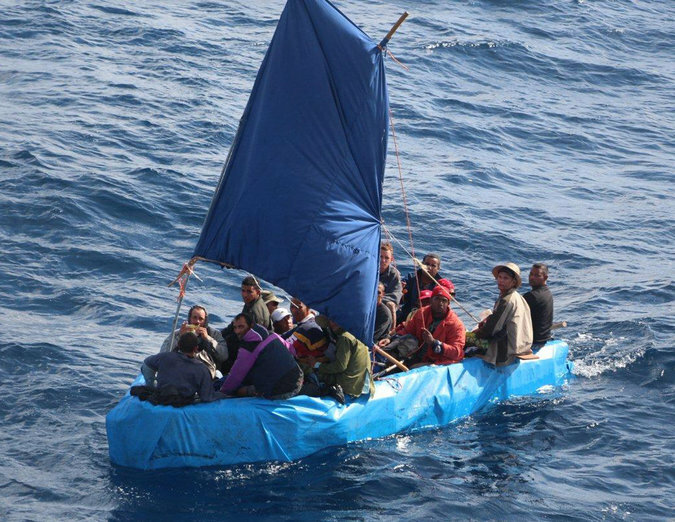 Nor are there plans to modify a 1995 immigration policy that allows the United States Coast Guard to return to Cuba the Cubans it stops at sea, unless they claim political persecution. Under this “wet feet, dry feet” approach, those who make it to American soil can avail themselves of the Cuban Adjustment Act. Fear that the policy would change after President Obama’s announcement led to a surge in Cubans jumping on boats and rafts headed for Florida in the past month. The numbers have begun to decline since the government emphasized that no change was imminent. “A change in policy is not being considered,” said Alejandro Mayorkas, deputy secretary of the Department of Homeland Security, who attributed the rumors of a policy change to smugglers trying to drum up business. The law also remains a matter of contention between American and Cuban officials. During recent negotiations in Havana, a Cuban official said the law tempted Cubans to risk their lives at sea, enriched smugglers and siphoned away Cuban professionals. American officials shrugged off the complaints. “We explained to the Cuban government that our government is completely committed to upholding the Cuban Adjustment Act,” said Alex Lee, the State Department official who was in charge of the migration-related portion of the talks. But immigration analysts said the law had become increasingly difficult to defend because it so clearly favored Cubans over other would-be immigrants facing repression and oppression in their home countries. “At a time when we are working so hard to send back Central Americans who are fleeing levels of persecution at least similar to what happens in Cuba, that double standard will definitely be looked at,” said Marc R. Rosenblum, an immigration expert for the Migration Policy Institute, a nonpartisan research group. With the possibility of an immigration debate in Congress this year, the law is now an easier target for Republicans eager to crack down on immigration, and for lawmakers from agricultural states who want the economic embargo lifted to facilitate exports to Cuba. A bipartisan group of senators introduced a bill on Thursday to lift all travel restrictions to Cuba. Cuban immigration to the United States continues to grow, with 20,000 Cubans a year arriving legally with visas. Thousands more reached the United States in the past year by the Mexican border, by plane or by sea. And in 2014, nearly 40,000 Cubans received tourist visas, many of them valid for five years. That number climbed steeply after President Raúl Castro relaxed Cuba’s exit permit rules. It is unclear how many of those visitors will choose to stay permanently, immigration analysts say. Supporters of the 1966 law say that as long as the Cuban government detains and harasses dissidents and the United States maintains its embargo, the law is justified. Some in Congress, like Representative Zoe Lofgren of California, the ranking Democrat on the immigration subcommittee, said the solution was to broaden protections for other immigrants, not reduce them for Cubans. Many in South Florida, like Francisco José Hernández, a 1960s exile and the president of the Cuban American National Foundation, which works to foster democracy in Cuba, said the economic and political success of Cuban-Americans was based in large part on the law. A version of this article appears in print on February 2, 2015, on page A1 of the New York edition with the headline: Law Favoring Cuban Arrivals Is Challenged.